In May of 2018, life for the Osborn family changed forever. 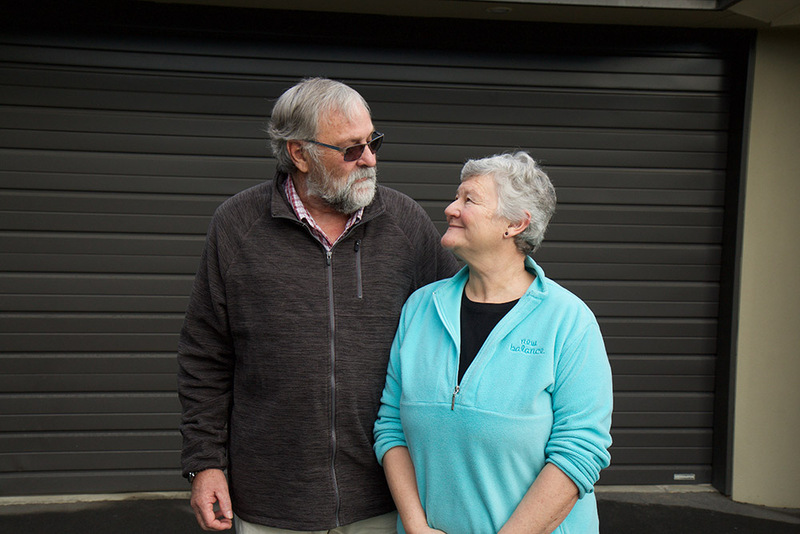 Having lived with hearing loss that progressed to deafness for nearly two decades, Maree, a Christchurch grandmother, was given back the gift of sound through a cochlear implant and the impacts for her and her loved ones have been monumental. Maree, born with full hearing, had been losing the sense for the past 18 years. Three years ago, she became profoundly deaf. “I started with having significant drops in my hearing,” says Maree. “I couldn’t hear my family properly; every day was hard and I developed coping techniques over the years to try and compensate for my hearing loss. I was lip-reading, making sure I was standing in front of people so I could get some sense of what was going on, and constantly straining to hear. “What I didn’t realise was how much I was in denial and how bad it had got,” she says. “In recent years I isolated myself, I was too scared to leave the house, doing normal things like doing the grocery shopping or answering the phone became impossible. I avoided people because I was terrified they would ask me something and I wouldn’t be able to hear or respond. I lost friends, I lost my social life. I was living in a silent world, a world where I felt like I was a burden so I cut myself off.” One of the worst things for Maree was not being able to spend quality time with her grandchildren. “The relationship you have with them is such a special one and we were all missing out on that,” she says. For Maree, a Teacher Aide, this isolation and lack of independence really began to take its toll and she had to leave her beloved profession and became more and more reliant on her husband, Bruce. For him, it was heartbreaking to see his once spirited wife sink into sadness and fear. “It was painful to look at her and see her struggling,” says Bruce. “But it comes your ‘normal’. It took a lot of getting used to and we just had to carry on as best we could despite the challenges. 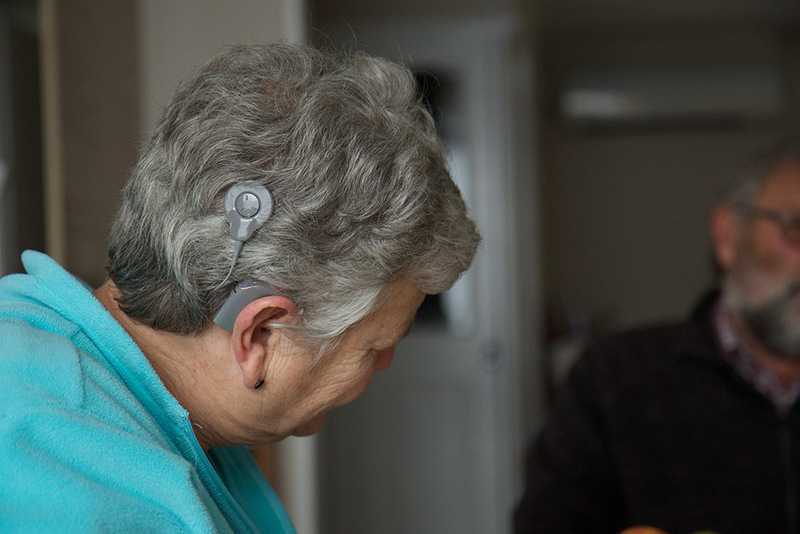 Finally, with Maree’s hearing completely diminished, the couple were desperate for a solution and were referred to the Southern Cochlear Implant Programme (SCIP). “I was anxious going into SCIP for the initial testing because I didn’t know what to expect,” says Maree. “Would an implant help me? Would I be able to hear again if I got one? A few weeks later, and Maree was operated on. In the following days, she was anticipating her switch-on – the moment when the implant is activated and hearing is restored. “When it happened I thought I could hear a tweety bird,” says Maree, “but the SCIP staff told me it was voices and I was so excited!” It had been years and years since I had been able to hear my loved ones and to be able to do that again, and so quickly, was the best outcome I could have imagined. “It was overwhelming, it was like getting my life back again. I walked outside and could hear the birds in the trees, the traffic, the sound of my own feet on the path. I had gone from complete silence to being able to appreciate the little things. With possibility now opened to Maree and Bruce, they are making plans to do all of the things they’ve been unable to do in the past 18 years. There is a holiday on the horizon – new places and people would have been unmanageable for a non-hearing Maree. And Maree is contemplating going back to work, something she truly loved. “I am not scared anymore,” she says. “To be able to contribute to my family and the community again is truly life-changing.